This article published in 2013. I won’t claim to be an expert here, but lately I’ve been reading a lot about your pH after having some tests done showing my pH was acidic. When your body is acidic, you can actually breed cancer rather than scaring it away, (and one of my main reasons for going keto is to scare cancer away!) so I’ve been reading about it more lately. Three years ago I went to a natural health clinic where they tested my pH (saliva). This was about a month after being in ketosis for the first time. One major red flag that came up was that my pH was around 6 when it’s supposed to be between 6.4 and 7.4, ideally closer to the 7.4. In fact, they say Cancer dies at a pH of 8. A pH of 6 might not look far off, but it is. A reading of 5.5 is acidosis. Anything below 7 is acidic. Note: From what I’ve learned, your blood pH is a different beast, and nothing you can eat will change your blood pH. To confirm whether you have low pH, all you have to do is buy some pH strips at your local medical supplies store (or online, or perhaps at your local pharmacist, but CVS doesn’t have them.) I keep them in my bathroom. Beyond food though, I also run a business, so my stress levels are high all day, every day, which can contribute to a low pH (aka being highly acidic). I also eat a lot more animal protein than when I was living la vida high carb, which can also be acidic. When your pH is low, you also absorb 20% less oxygen too; It’s not healthy. Adding pH balancing foods to your diet can help, and is pretty much necessary for a balanced keto diet. It can’t be bacon and eggs all the time! Something I was told when I got this diagnosis was that when you follow a ketogenic diet, it’s really important to drink lemon water every day. Something important to note is that your body has different pH levels. For example, your blood pH must stay a consistent 7.35-7.45, but you eat doesn’t determine your blood’s pH level, only your stomach pH. Your blood will almost always always self-regulate. As you can see, the perfect pH balanced diet is very vegetarian and very anti-meat. That doesn’t mean we can’t maintain balance while eating meats, though. Here’s a list of pH balancing foods I edited to be keto-friendly from this site by Christopher Vasey, ND. Herbal Tea – Mint, Verbena, Linden, etc. On a happy note, one wonderful things that raises your pH naturally to make you more alkaline: Hugs. Thank you for the list. We have doing Keto for about a year and my wife has an ulcer, so we are trying to get more Alkaline. Protein is maybe 15% of a true keto diet which could still come from hemp or highly alkaline forming algae products which spirulina ounce for ounce has more protein than anything in the world. Limit meat to what you can find locally, use bones for broth and be grateful every time you eat them. Breathing techniques can bring you more alkalinity so can aerobic exercise. 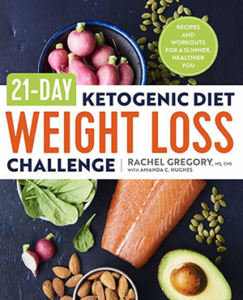 This is for anyone, particularly diabetics, who want to incorporate fasting into their keto lifestyle. But first, thanks to wickedstuffed for some clarification on this subject. 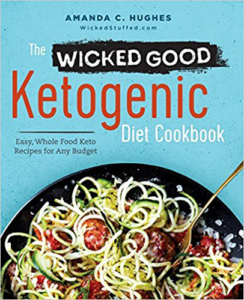 I had been following real food/paleo type diets for years, then after an allergy doctor put me on a high sugar no fat elimination diet for bloating issue, within a week I was in the hospital with ketoacidosis. I did tell him I was keto adapted, but he said the high sugar and fruit would do me good. That is when I was diagnosed as a type one diabetic, thanks doc. So, as high blood sugar and/or high insulin levels are not good for anyone I have been fully Keto for the last three years. Lately though I have had mild symptoms, very mild frontal cortex headaches, frequent urination and an overly upset stomach. Not even close to the extent when I was hospitalized as I am able to keep my blood sugar between 5-10(90-180) and it was like 23.5(420) when I was hospitalized. Oh a side note the doctors in the hospital blamed my Atkins style diet, not the sugar diet for me ending up in the hospital, despite the fact I had been off and on Atkins for 20 years as opposed to the one week of high carbs? I did remember them saying I had a high level of acid in my blood. So I thought maybe being Keto and fasting was increasing the acidity; my urine ketones are always off the charts. I had been, as is generally advocated in the Keto community, drinking a high amount of water and using a fair-high amount of salt. My diet is all organic real food with maybe more low-carb vegetables than many folks would eat. If I ate a high salt meal – three to four eggs, some kind of meat on a salad, this would alleviate the symptoms, but I was still left with what to do on the fasting days and the symptoms would return sooner than I would really want to eat again. Searching online seemed to be pointless as there are some many people with obvious vegetarian biases listing the PH levels in foods. Most did not really seem to know what they were talking about, merely pushing their agenda. So much misinformation, like, I have seen blueberries and lemons on both ends of the list? Over the last few days I bought the test strips and a product to raise your PH. I will not name it as I am not try to promote any product or company. But I can say it does seem to be working. My PH is up a little and the symptoms are gone. I am more interested in taking in real food and thanks to this site I have a good list to start with. But like I said I really like fasting and the health benefits are huge, and not just weight loss. You will boost your HGH and stem cell production on longer fasts and that is why I bought the product. To the folks who run the site, remove this last line if you want, but I would like to give a shout out to Dr. Jason Fung – best books on obesity and fasting maybe ever written. Being 420lbs when I was 18 and now at 46 now down to 220lbs, I have read every book and tried ever diet ever invented. So if you are Keto and having symptoms or wanting to try a Keto diet and want to avoid the “keto flu”, I would suggest getting some PH strips and checking your levels. I do not think it is just a lack of salt which leads to the keto flu; you need to watch your vitamin and mineral levels and eat lots of above-ground, low-carb vegetables. I hope this information will help you navigate your way towards better health in the future. Please post the product you used to raise your PH. So many things on the internet are false products. I would appreciate an honest opinion. Thanks..
Good for you at getting to lose so much weight. 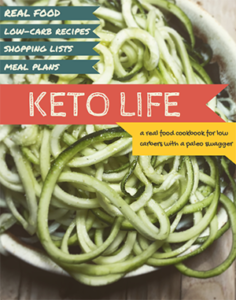 I am not on the keto diet, but am looking at possibly supplementing with a keto product and making more changes in my diet. I have tried to purify to a large amount to whole foods as much as possible, cutting out or down on sugars and white flours and eating much less dairy. I have also cut down on meat. Unfortunately I have not lost weight. I blame that on my low thyroid diagnosis. I am not terribly over weight but would like to lose some. Anyway, I wish you the best. I am happy to have the above list. What causes hair loss on keto life change? I can’t afford to lose even one hair!!! !My husband and I just started this new life style. From what I’ve read, IF it happens it’s because going keto cold turkey can be a shock to your system, but if it does happen, it grows right back. A way to avoid it would be to ease into 20 net carbs per day. A healthy keto diet is not “full of meat”. Maybe 25% of calories should be protein. 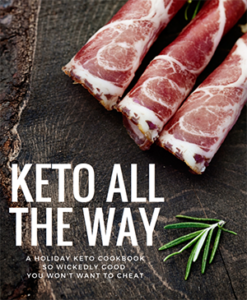 Keto is NOT Atkins. Atkins allows for far more vegetables and fruits than keto. Keto is essentially the induction phase of Atkins. Do your homework. I’ve been on strict keto since 2014 and envy Atkins dieters their extra servings of fruits and vegetables.